Paul Carlson and I had a good conversation. This is episode 441 of the SSA Podcast and I am so pleased that you have joined us. Today’s guest, Claude Werner and I discuss personal protection and the firearms training industry through the lens of data. Claude is a self proclaimed “Quant” meaning that he has a strong focus on collecting, analyzing and applying data to solve problems. His focus on the application of data to personal protection helps to bring quality solutions to people that they may not find from other sources. I really think you are going to enjoy this episode of the SSA Podcast! I’m shocked because I thought the case was a question of manslaughter. Hung jury, possibly guilty of manslaughter, but more likely ‘not guilty.’ It just seemed to me that the relative sizes of the two people made it clear that my client was in a jam that he couldn’t get out of except to use a firearm. So said the defense attorney for Merrill “Mike” Kimball after his client was found guilty of murder for fatally shooting 63-year-old Leon Kelley in 2013. Obviously, things did not come to pass the way he thought they would. Regardless of the outcome of an appeal, being convicted of murder is a Negative Outcome. Events preceding the day of the shooting. Thurlow-Kimball begins working for Brown at the farm in 2009, when Brown’s son died. Thurlow-Kimball becomes manager of the bee farm. Brown eventually includes Thurlow-Kimball in his will, leaving the bee business and a part of his property to her. The family deeply resents this. At the time of the phone call, Merrill Kimball had just gotten off his boat and gone to a friend’s house to watch a Patriots game. He drank two rum and cokes while he was there. Thurlow-Kimball immediately calls Brown’s daughter-in-law, Libby Adams. Adams tells her the Kelley family plans to change the locks on the bee farm sales shop. The shop contains about two dozen jars of honey, totaling about 700 pounds. The honey, which contractually belongs to Thurlow-Kimball, has a value between $4,000 and $7,000. Rawnsley-Dutil calls her mother and Kelley, her stepfather, at their home 40 miles away, and asks them to come to the farm. The senior Kelleys then drive to the Bee Farm and arrive before the Kimballs. Thurlow-Kimball enlists her husband and son to help her get the honey out of the shop. They drive to the shop in two vehicles. Around 3 p.m., Kimball and his family arrive to load the honey jars. Kelley family confronts Kimball family. Craig Rawnsley blocks the shop door and accuses the Kimball family of trespassing. Kimball asks who Kelley was. The two men had never met before that day. Kathleen Kelley calls the police. Thurlow-Kimball refused to leave the property, insisting on waiting for a police officer to arrive. Kelley put his hand on Kimball’s shoulders, spins him around, and follows as Kimball backs down the driveway. Kimball later states that Kelley shoved him five or six times total. Kimball retreats roughly 35 feet being followed by Kelley until he is in the driveway nearly to the treeline. The driveway extends to his right and left, at this point. 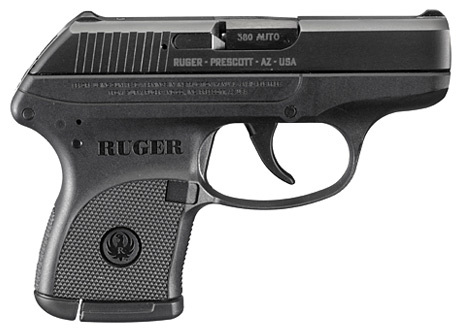 Kimball, who is licensed to carry a concealed weapon, draws his Ruger LCP .380, and fires three shots into Kelley’s torso at a range of 4 -10 feet. Kelley falls down after being shot and clutches his abdomen. Robin Rawnsley-Dutil immediately takes a photograph of the scene and then begins recording a video. Kathleen Kelley remains on the 911 call after her husband is shot. Rawnsley calls his brother, Daryl Rawnsley, deputy chief of the Cumberland Fire Department, for medical assistance. Kelley is transported by ambulance to a hospital and dies shortly thereafter. The state police sergeant who was the first officer to arrive at the scene said he could “smell the odor of liquor” on Kimball. Kimball did not seem impaired, other than failing to immediately respond when when the sergeant commanded him to put his hands up and get on the ground. Kimball maintains the shooting was done in self-defense. “The man attacked me. The man pushed me back. I was in fear for my life. I nearly fell down, and he kept coming.” Kimball’s words were captured on a police cruiser’s onboard camera. Kimball is questioned but not arrested. A video re-enactment is recorded by Kimball at Brown’s Bee Farm on November 4. Kimball is indicted on the charge of murder. He posts bail and remains free. Kimball rejects a plea offer to manslaughter before the start of the trial. The trial commences on April 6, 2015. The prosecution contends that Kimball could have continued to retreat by turning left or right down the driveway rather than shooting. Maine is one of 16 states whose self-defense laws require retreat for as long as safely possible before using deadly force. The prosecution alleges that Kimball took a concealed pistol and an extra clip [sic] of ammunition to Brown’s Bee Farm because he expected trouble from the Kelley family. Kelley family members admit in court that Thurlow-Kimball was not trespassing and that they had no right to tell her to leave. Members of the Kelley family make several contradictory statements about the events leading up to the shooting. Rawnsley-Dutil states that Kelley put his hand on Kimball’s shoulders shortly before the shooting, spun him around and followed Kimball as he backed down the driveway. She admits Kelley may have shoved Kimball additional times. The video re-enactment recorded by Kimball is played for the jury. 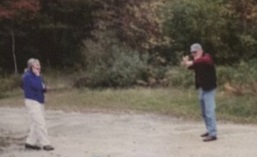 The cellphone photo taken after the shooting is shown to the jury. Craig Rawnsley testifies that Kelley wouldn’t have “escalated the situation” if he had known Kimball was armed. “The issue for me in this case is there were three shots fired and whether he was acting in self-defense in all three shots or less,” said Justice Roland Cole. The jury deliberates for six hours over two days. They have the options of finding him guilty of murder, manslaughter or acquittal. The jury finds Kimball guilty of murder on April 15, 2015. The possible sentence is 25 years to life in prison. Kimball is taken into custody. Kimball’s lawyer indicates the intent to appeal, which cannot be filed until after Kimball is sentenced. Sentencing will be scheduled in the next six weeks. The above account is based on the trial reporting of Scott Dolan, Staff Writer for the Portland Press Herald newspaper. I’ll look at the implications of this over the next few days.